The new year is approaching fast, and Phoenix companies are thinking about the best ways to hire top talent. Here’s how to “hit the ground running” on January 1st so that you are able to reach your 2018 goals. Schedule time before the holidays to review your strategic staffing plan. What worked well? Which steps did you need to alter or eliminate? Which challenges were inadequately addressed by your 2017 plan? Make notes about the plan’s performance as you read, along with any ideas for addressing shortcomings or enhancing strengths that come to mind. These notes will help you revise your plan for a more effective 2018 hiring cycle. Gather information on the local hiring market. Phoenix is expected to offer a tough candidate market in the coming year, as companies struggle to find outstanding candidates. Prepare now by researching local market trends, as well as trends in your specific industry. Use your research to further refine your strategic staffing plan for 2018, focusing on the most likely market and industry challenges and how you plan to address them. Revise your annual performance reviews. Before you hold your annual performance reviews in the first part of the new year, take some time to look over your review methods. Are you providing clear, concrete feedback to employees? Do you give employees ample opportunity to raise questions or concerns, and if so, how are those items handled? What is your method for evaluating whether each employee’s current work is accurately described in their job description? 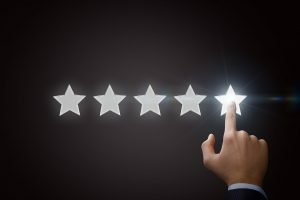 Performance reviews are a powerful tool for maintaining retention and helping you understand what the “ideal candidate” for your company looks like – if you leverage them effectively. Start now so you’re ready to use the information you gather in the review process. Before the year ends, communicate with your recruiting partner. Share your notes on your 2017 staffing plan’s results, the opportunities and challenges you predict in the coming year, and the type of talent you’ll need to rise to the occasion. Collaborate with your recruiter now to make 2018 your best hiring year yet. At TERRA Staffing, our recruiters focus on helping Phoenix businesses hire top talent for their workplace culture and business goals. Contact us today to learn more about our staffing solutions in Phoenix and beyond.